The best part about Kinaraa is that they don't discriminate. Their products are available for all sizes ranging from extra-small to plus size. 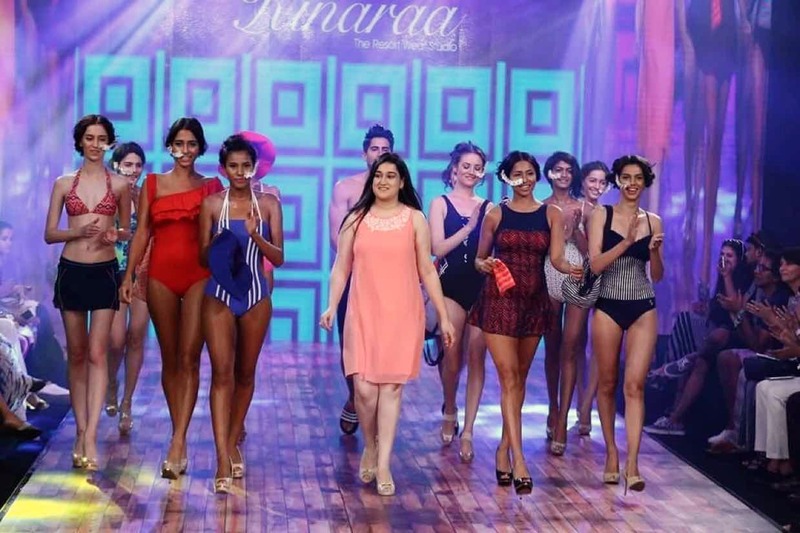 Also, their target market being Indian women, the swimwear designs are wearable anywhere and everywhere. They do not have any physical outlet or store but you can find them online at e-commerce websites like Amazon, Flipkart and Snapdeal. During season time, they mostly run out of different sizes, so stay up-to-date on their collection. As a brand, they should work on increasing their stock inventory. The brand also offers a range of resort-wear accessories that includes bags, hats and headbands that can be colour-coordinated or twinned with your swimwear.